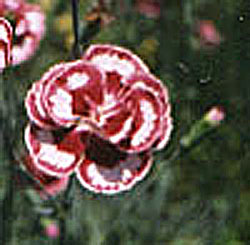 The double pink flowers are edged with a deep rose color. Very strongly scented. Excellent cut flower. Categories: All Items, all potted plants, Potted Plants, More..